You can contact us several ways. To book a place in an 11+ group use the form below. For bookings and enquiries about dyslexia please email [email protected] and we will send you the relevant form and detailed questionnaire to complete. Alternatively, drop Anita an email at [email protected] and we will get back to you as fast as we can. For queries about payments and administrative issues please email Tim at [email protected] or call him on 07894 661140. Include your phone number and times you are available if you want us to call you back. Alternatively, call or text Anita on 07730 955699. She is likely to be available 1130-1430 Monday to Thursday, but outside of these times she is often teaching or in meetings so a lot of the time you may get a better response via email. Note that we do not take work calls on Sundays or late of an evening. As a part of our safeguarding policy our individual tutors are not available to be contacted outside of the tuition sessions. If you have a query for another one of our tutors and you cannot speak to them at the classes then please email Anita. Note that tutors are not able to speak to you about financial matters and specific school choices – again, these questions need to come to the office through Anita or Tim. Which groups are you interested in joining? 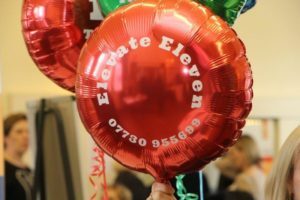 How did you hear about Elevate Eleven? By submitting this booking form you are giving consent for Elevate Eleven to contact you via email/phone in order to manage your booking and ensure we have all the information we require, both for initial enrolment and ongoing participation in our tuition courses and related services (such as mock exams, etc. ).